She is known as the rich girl of Maishima Academy. However, her father passed away over a year ago and has been living in an run down apartment since then. She is the second heroine to appear in the series. 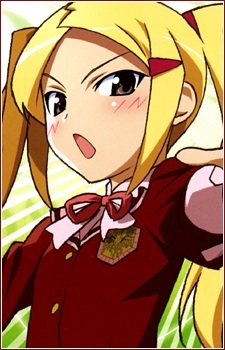 Keima describes her as tsundere, based on her appearance; cat eyes, light hair colour, visible forehead and pigtails. He also claims that he has seen character like her 300 times in games. She seems to have some sadistic nature towards Keima.